Clothbound, 9 x 11 in. / 208 pgs / 115 color / 20 bw. Foreword by Glenn D. Lowry. Text by John Elderfield, Luis Pérez-Oramas. 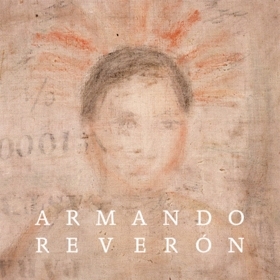 This first U.S. retrospective of the work of Armando Reverón (1899-1954), exhibited this spring at The Museum of Modern Art, New York, introduces the celebrated Latin American artist to an international audience. Well-known in his native Venezuela, but little known outside Latin America, Reverón deserves to be ranked alongside the great early European Modernists. By the 1920s, he had fused post-Impressionistic idioms with an extremely tactile surface and an almost monochromatic palette, creating unmistakably original paintings that are both mysterious and radical. In addition to Reverón's paintings, the exhibition includes life-sized dolls and other objects that he and his partner, Juanita Ríos, created to fill their secluded Caribbean home. Reverón's figurative works seem to replicate the perceptual experience of puzzling out forms in shadowy interiors; increasingly over the years, the subjects of these paintings came to be not human beings but his own life-sized dolls. This volume, the first major publication on Reverón in English, features more than 100 paintings, drawings, and objects, accompanied by texts by MoMA curators John Elderfield, Luis Pérez-Oramas and Nora Lawrence. FORMAT: Clothbound, 9 x 11 in. / 208 pgs / 115 color / 20 b&w. Published by The Museum of Modern Art, New York.